BÌNH PHƯỚC — In southern Bình Phước Province, 108 residents were diagnosed with a pork tapeworm infection on Tuesday. The diagnoses came after local doctors analysed blood samples from 904 residents in Phú Nghĩa, Đak Ơ and Bù Gia Mập communes in Bù Gia Mập District. The number of patients accounted for some 12 per cent of residents. 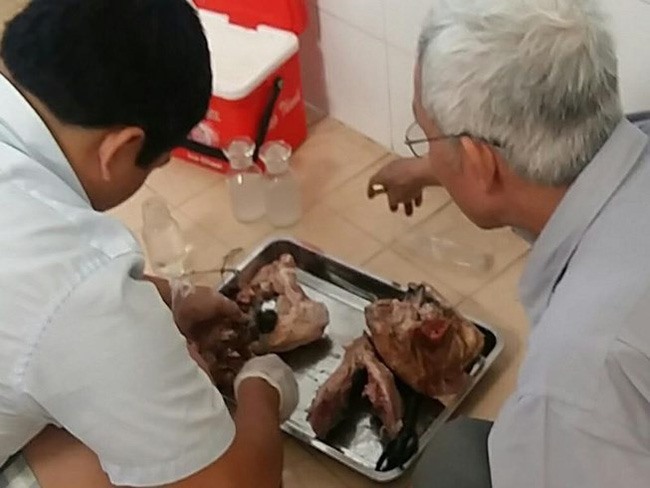 The habits of eating raw pork and letting pigs eat unsafe food were the main causes of the disease, said Dr Lê Thành Đồng, director of the Institute of Malariology, Parasitology, Entomology (IMPE) in HCM City. Examinations of pork suspected to carry the infection in the district showed a high infection rate of 50-70 larvae per kilogram, he said. “What is most worrisome is that the disease could spread to adjacent areas where the unsafe practices of eating raw pork and letting pigs roam free have gone unnoticed,” he said.